September begins under the influence of the new moon which occurred on Saturday, August 30, 2008 in the sign of Leo and nakshatra of Purva Phalguni. This nakshatra contains two stars, Delta Leonis and Theta Leonis that represent the legs of a cot or poles of a swinging hammock. Anytime a bed appears as a symbol, it indicates rest and recuperation. 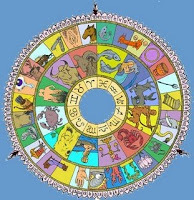 It is a social and sometimes lazy nakshatra, considered good for self-indulgent and artistic activities. It is ruled by Venus which is currently debilitated in Virgo. Luckily the planet of the fine arts and beauty is accompanied with an exalted Mercury in Virgo lifting her up somewhat. We may enjoy mental pursuits more at this time. 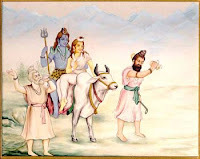 Purva Phalguni is also the nakshatra of Shiva's wedding procession. Traditionally it promises a happy marriage and family life. It bestows prajanana shakti, the power of procreation. The marriage of Shiva and Shakti may be seen as a metaphor for Kundalini rising. Shiva as the masculine principle is still, with a static quality. He is unmanifested consciousness. Shiva has the power to be, but not the power to manifest. Shakti, as the force of Kundalini and the feminine principle is dynamic, energetic and creative. Thus the sacred marriage of Shiva to Shakti represents the rise of Kundalini into the Higher Mind that is represented by the snowy mountains of Kailash. Kailash is the symbol of the highest mind and Shiva has his abode on this mountain where silence reigns eternally. The analogy is between a human wedding which releases the highest ecstasies of the flesh, and the wedding of Kundalini with Shiva, which is a symbol of the highest bliss attainable by an individual soul. Kundalini is the energy is coiled at the base of the spinal cord and is naturally awakened by the time of the astrological phenomenon called the Uranus opposition that occurs between 38-42 years. As this new moon was in opposition to Uranus, it may have sparked a little kundalini rising here on the planet. Notice how hurricane Gustav increased in intensity during this time. Moreover, the fun of Purva Phalguni may have be dampened by the strong influence of Saturn, also in Leo. Saturn in Leo is not happy and easily disappointed. Saturn is somber and grounding. Perhaps some of us experienced this combination as low energy or being tied down by responsibility. This heaviness should shift by the time Jupiter goes direct on September 7, 2008. Jupiter goes stationary direct on September 7, 2008 in its own sign of Sagittarius. It has been retrograde since May 9th slowing down expansion and making us reassess our philosophical, political and religious beliefs. A retrograde period is about going inward to reevaluate our inner knowledge. Once it goes direct on September 7th we should be able to bring these new insights to the outer world and expand our opportunities. The full moon on September 15 will be in Aquarius, in another nakshatra of recuperation, Purva Bhadrapada. Its two stars, Markab and Scheat are located in the body of Pegasus, the winged horse. It has an obscure deity Aja Ekapada, "one footed goat" who is associated with the fierce form of Shiva known as Rudra. 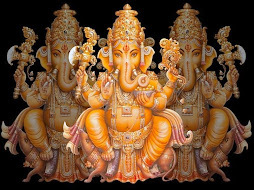 Like Western concepts of the devil, the one-footed hindu god is associated with chaotic destructive energy that purifies so that new may be created. There is a diabolical element to this nakshatra that may trigger violence, paranoia, deceit, death and conspiracy. But this one-footed god is fulfilling a divine plan, so the change and discomfort produced under its influence is mainly the pain of transformation. Purva Bhadrapada puts an end to things and thus rules over activities like death, funeral services, risk taking, as well as the harvest of agriculture. Perhaps this last activity is most significant as the Harvest full moon in September often occurs in Purva Bhadrapada. The Harvest Moon is no ordinary full moon and it behaves in a special way. Throughout the year the Moon rises about 50 minutes later each day. But near the autumnal equinox, the difference in the local time of moon rise is only 30 minutes. This comes in handy for farmers who are working long days to harvest their crops before autumn. The extra hours of light projected by the full Moon closest to the equinox is what gives the Harvest Moon its name. Watch to see what you harvest.